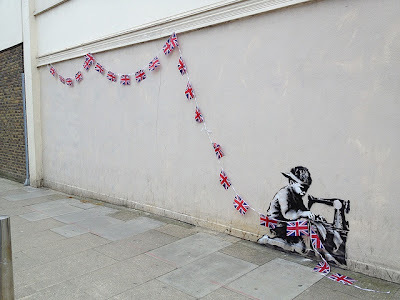 Mr Banksy has popped up a new piece in Turnpike Lane, London. 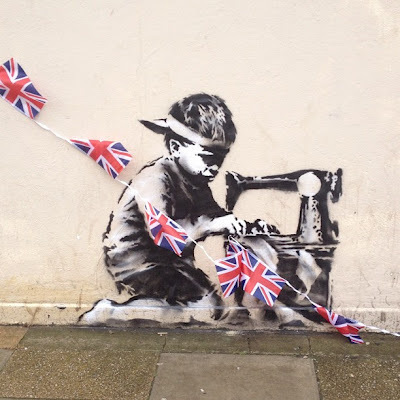 The image depicts a child labourer getting the bunting ready for the Queen’s Jubilee. The piece, on the side of Poundland is very clearly, well placed. More great commentary on a current event. What do you make of it? Thanks to Nuart for the heads up.